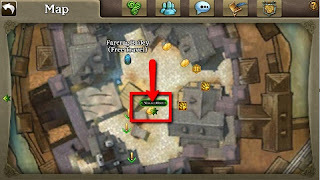 Home Abilities Cooking Basics Guide - Bosses, Fashion, Vendors, and more! Cooking Basics Guide - Bosses, Fashion, Vendors, and more! 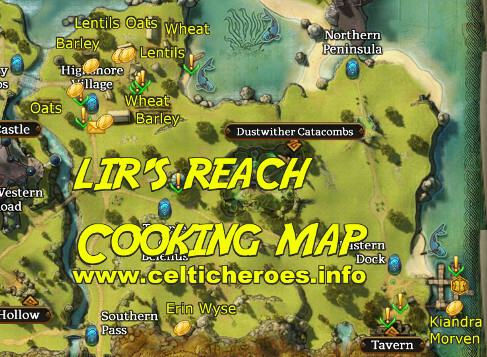 This is a guide detailing all the ins and outs of cooking. 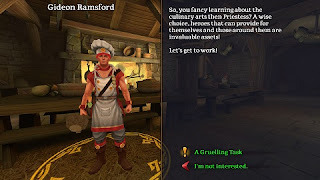 This will get you started cooking and familiarized with all the NPCs. 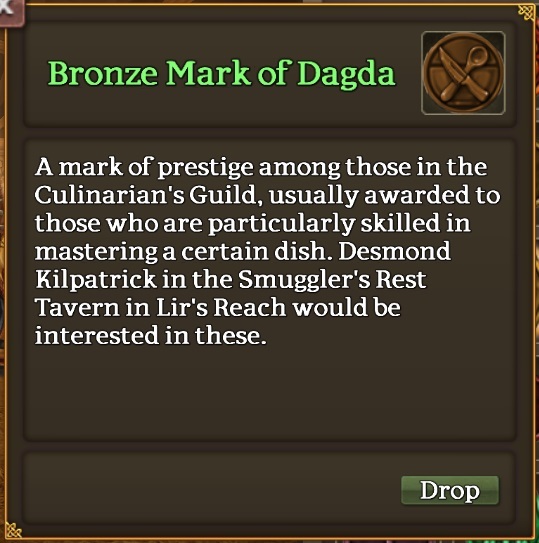 This skill allows you to cook food that, when eaten, instantly replenishes health, energy, or offers a stat boost (examples: damage boost, stat boost, hp/energy regen). What is it? What does it let you do? How do you increase it? Cooking Lvl The level of experience you have in cooking Cook higher level food. Successfully cook food. Do not burn it. Proficiency The amount of ability you have in cooking food Not burn food as often. Successfully cook food. Do not burn it. Mastery A critical success in cooking Cook exquisite food more often. Cook exquisite food. Don't worry! Although there is a chance to ruin your food (which makes it inedible), there is also a chance of a critical success. As stated above, the cooking proficiency ability lowers the chance of burning our food, and the cooking mastery ability raises the chance of getting a success result above normal. 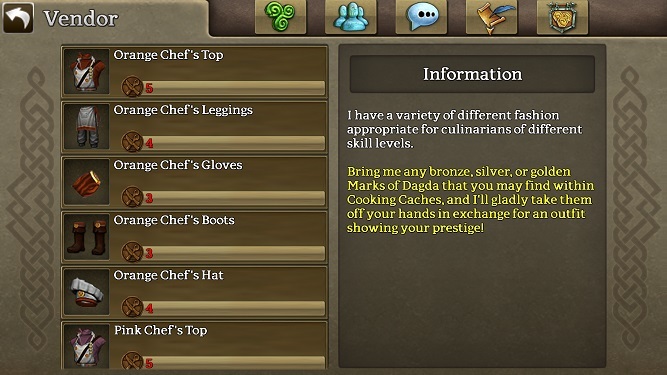 You need to gather ingredients to cook food. What ingredients you need depend on the recipe that you're cooking. The recipes come from cooking quests, buying from a vendor, and Cooking Bosses. 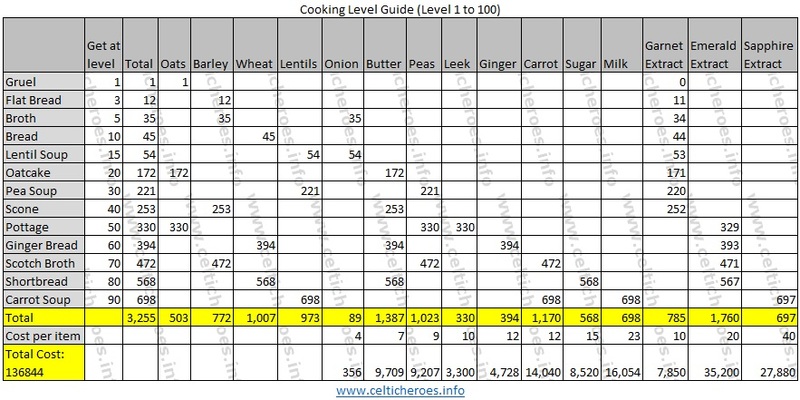 This is a list of all the ingredients that you need to go from level 1-100. There are other supplemental ingredients you can buy from vendors. 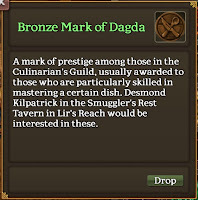 A rare reward from the daily quest is a Token of Dagdha. 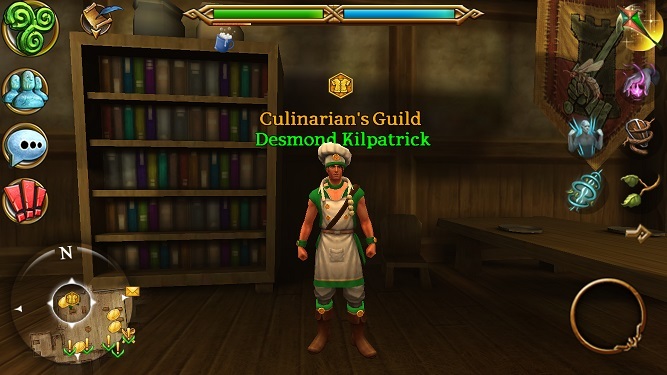 You turn these in to Desmond Kilpatrick just inside the tavern entrance to obtain cooking fashion. The more rare fashion requires more rare tokens.